The best berries are the ones you pick yourself! 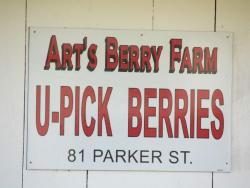 We have u-pick blueberries in July and August. Long pants and closed-toe shoes suggested. 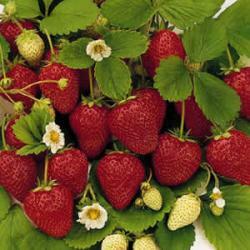 Fresh pre-picked berries are also available retail at the stand. 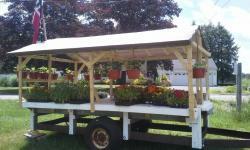 Farm store with flower and vegetable plants, cut flowers, and seasonal vegetables. 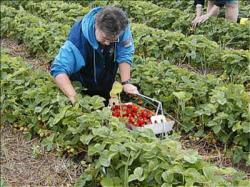 Pick Your Own begins July 5th. Directions – South on Route 83 from center of East Longmeadow, approximately 1 mile, left on Hampden Road to blinking light, right to 81 Parker Street. 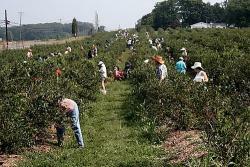 All responsible pickers welcome. (413) 783-1909Open Daily, 9:00am-7:00pm. Directions: South on Route 83 from center of East Longmeadow, approximately 1 mile, left on Hampden Road to blinking light, right to 81 Parker Street.